Individual meetings with meditation instructors are available. In addition to meditation practice, we host an Open House in the Community Room every Sunday from 9:30 to 11am. 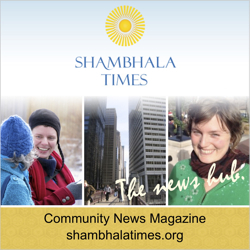 This is an opportunity to learn about Shambhala and receive meditation instruction in a group. These Sunday morning events are free and open to all.